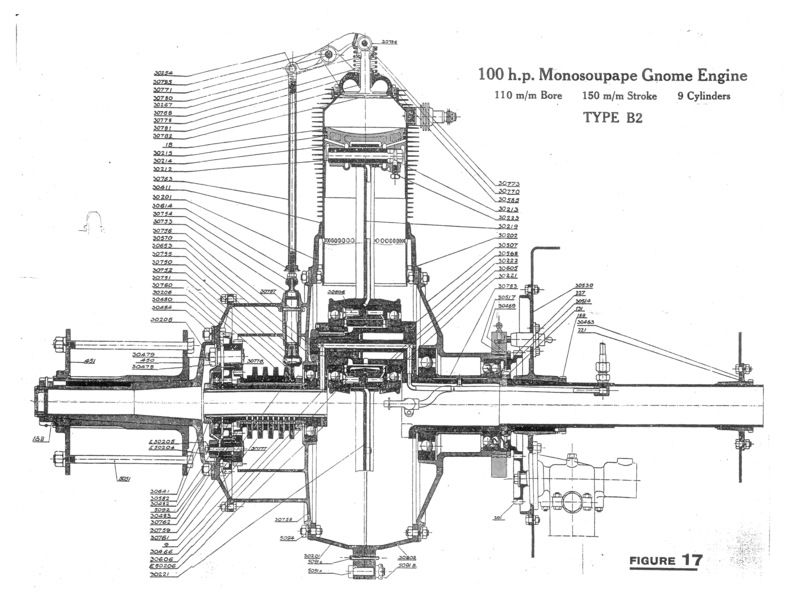 "One of the greatest single advances in aviation"
The Monosoupape (French for single-valve), was a rotary engine design first introduced in 1913 by Gnome Engine Company (since 1915 called Gnome et Rhône). It used a clever arrangement of internal transfer ports and a single pushrod-operated exhaust valve to replace a large number of moving parts found on more conventional rotary engines, and made the Monosoupape engines some of the most reliable of the era. British aircraft designer Thomas Sopwith described the Monosoupape as "one of the greatest single advances in aviation". 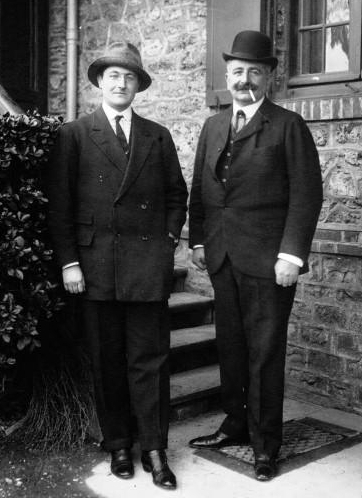 In 1913, Louis Seguin and his brother Laurent (engineers who founded the Société Des Moteurs Gnome [the Gnome motor company] in 1905) introduced the new Monosoupape series, which eliminated the inlet valve, replacing it with piston-controlled transfer ports similar to those found in a two-stroke engine. Beginning with the power stroke, the four-stroke engine operated normally until the piston was just about to reach the bottom of its stroke (bottom dead center, or BDC), when the exhaust valve was opened "early". This let the still-hot burnt combustion gases "pop" out of the engine while the piston was still moving down, relieving exhaust pressure and preventing exhaust gases from entering the crankcase. After a small additional amount of travel, the piston uncovered 36 small ports around the base of the cylinder, leading to the crankcase which held additional fuel–air mixture (the charge). No transfer took place at this point since there was no pressure differential; the cylinder was still open to the air and thus at ambient pressure. 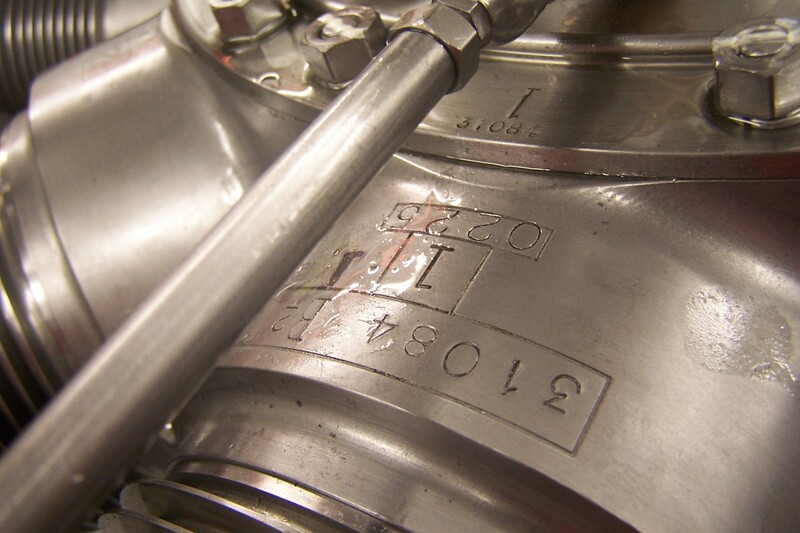 The overhead valve exhausted directly into the slipstream since no exhaust manifold could be practically fitted to the spinning crankcase and cylinders, partly in order to save weight and prevent excessive amounts of centrifugal forces in flight. 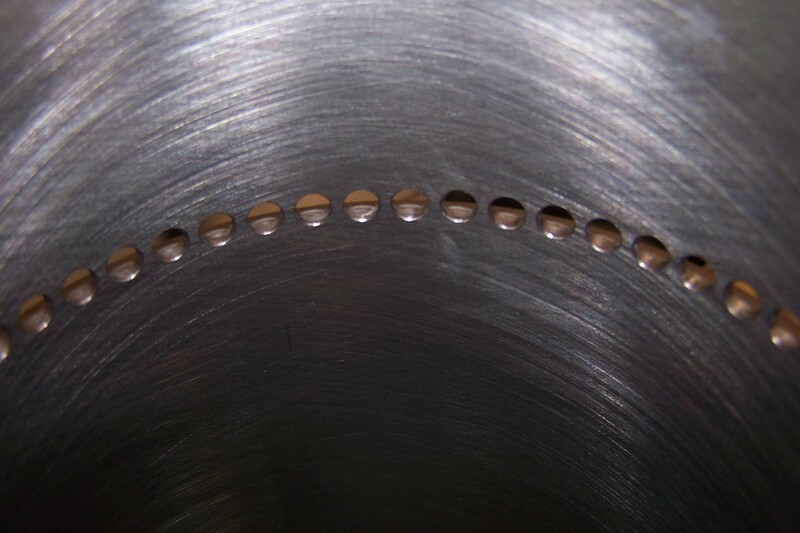 During the exhaust stroke, total scavenging occurred as the air moving past the cylinder exterior lowered the pressure inside due to the direct exposure of the exhaust port to the slipstream. The piston continued its exhaust stroke until top dead center (TDC) was reached, but the valve did not close. The piston began to move down on its intake stroke with the valve still open, pulling fresh (presumably un-filtered) air into the cylinder. It remained open until it was two-thirds of the way down, at which point the valve closed and the remainder of the intake stroke greatly reduced the air pressure. 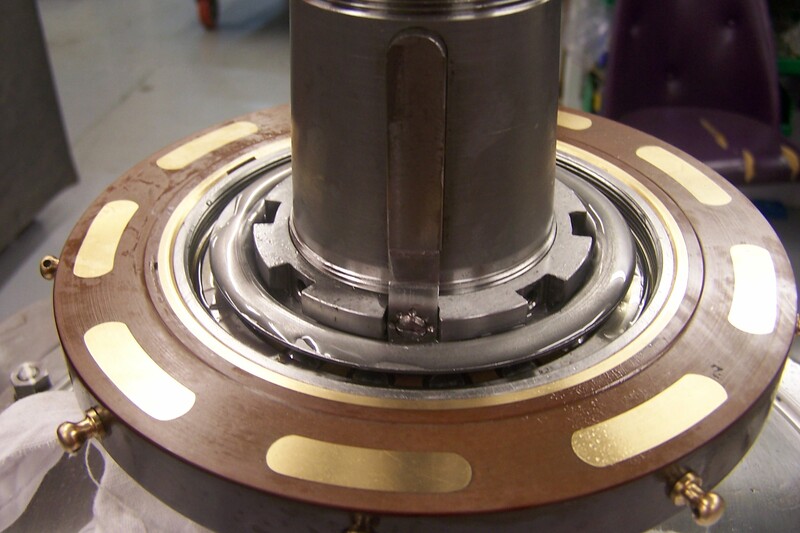 When the piston uncovered the transfer ports again, the low pressure in the cylinder drew in the balance of the charge. The spark plug was installed horizontally into the rear of the cylinder at the top but had no connecting high-voltage wire. An internal-tooth ring gear mounted on the engine drove a stationary magneto mounted on the firewall, whose high-voltage output terminal was in close proximity to the spark plug terminals as they passed by. This arrangement eliminated the need for points, distributor, high-voltage wiring and capacitors found in conventional mechanically timed ignition systems. This ring gear also drove the oil pump, which supplied oil to all bearings, and through hollow pushrods to the rockers and valves and also drove an air pump which pressurized the fuel tank. The later, 160 CV Gnome 9N engines had dual ignition systems for safety, with twin spark plugs per cylinder which were electrically wired, with the wires routed onto the crankcase and a central pair of magnetos driven by the spinning engine crankcase. Produced under license in Britain the engine was built in large numbers in both seven and nine-cylinder versions, the latter being produced with two different displacements.